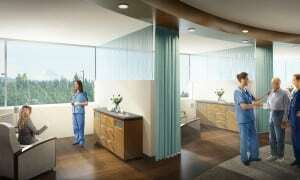 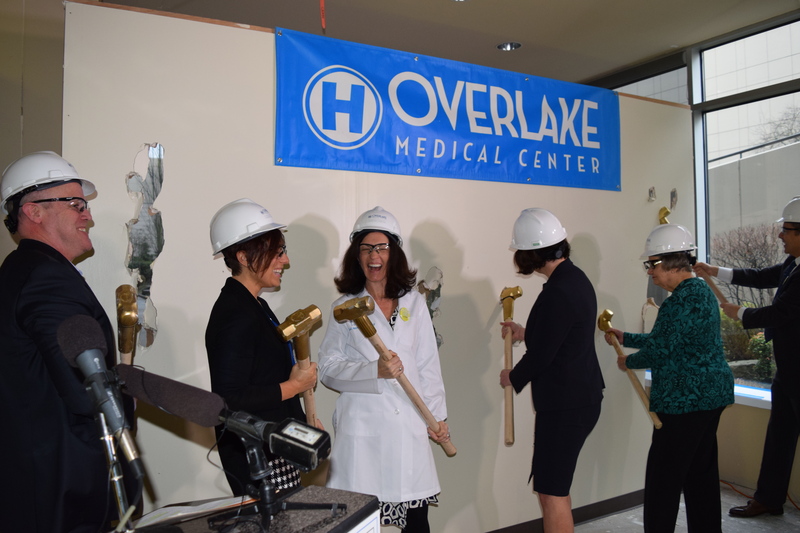 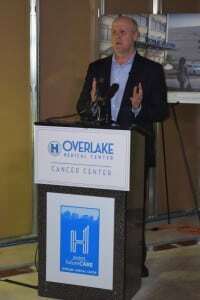 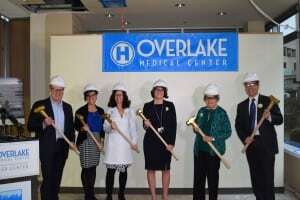 Today, The Keller Group joined our client, Overlake Medical Center, as its staff announced Project futureCARE. 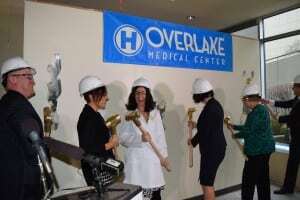 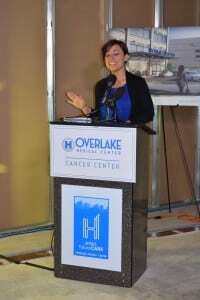 A six-year, $242-million project, 10 years in the planning, Project futureCARE will expand Overlake’s services and renew the campus in several significant ways: It will change the skyline with a new East Tower, there will be a new Childbirth and Mother Baby Center, Overlake will upgrade and expand its Behavioral Health Unit, create a new entry, add two more surgical suites, create more lab space with enhanced respiratory care and more. 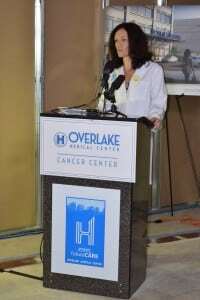 The official announcement and celebration took place at Overlake Medical Center, where President and CEO J. Michael Marsh, Dr. Kristi Harrington, medical director of the Overlake Cancer Center, Overlake Community Outreach Event Coordinator Breeze Dahlberg, Director of Cancer Services Robyn La Fleur, Cancer Center Fundraising Committee Co-Chair Clodagh Ash and Overlake Foundation Board Chair Jason Thompson tore down the wall, literally and figuratively – that currently function as barriers to patient care. Marsh explained Overlake’s plan has set a priority on space planning that gives us the flexibility to accommodate future growth as [the] community evolves. 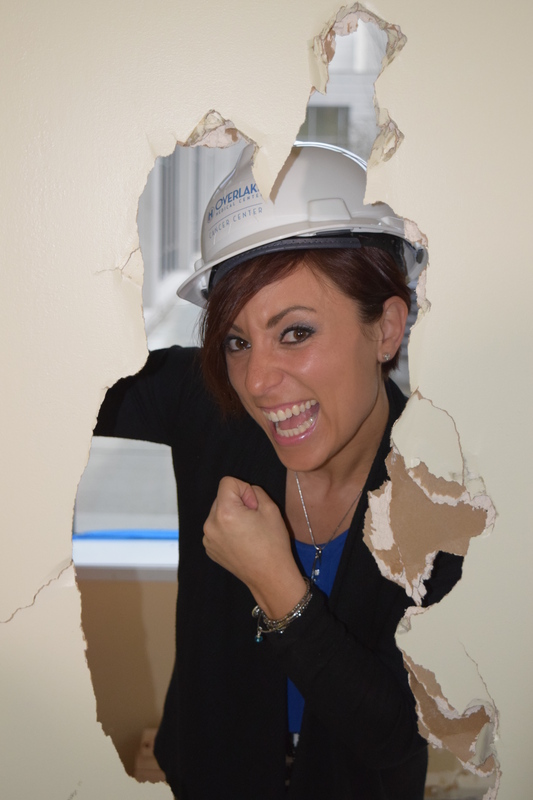 Today it’s all about breaking down walls, both literally and figuratively. 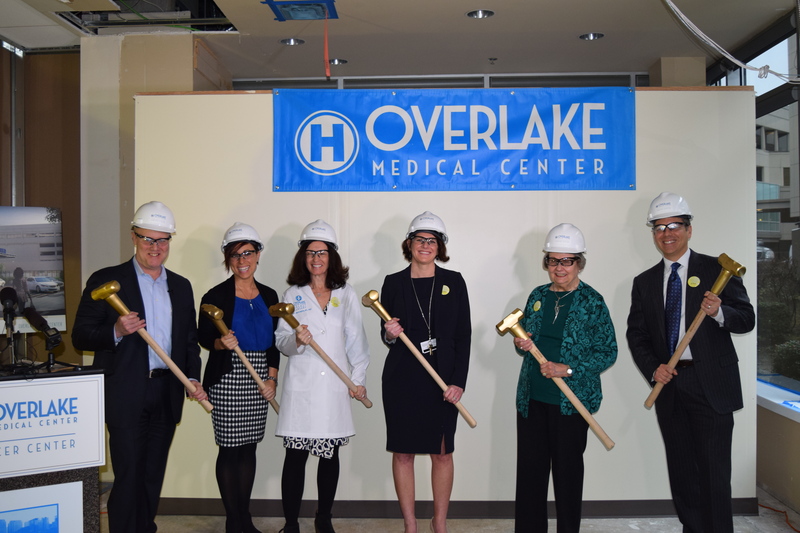 But beyond that, it’s all about community, and providing the most exceptional care possible for our patients and their families. 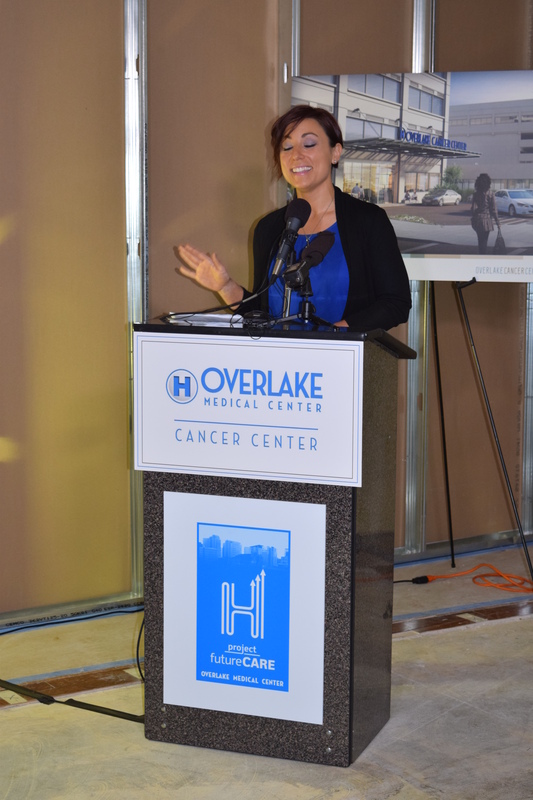 Dr. Kristi Harrington detailed the typical journey of today’s cancer patient. 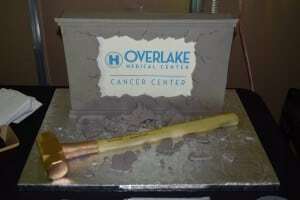 “It can be overwhelming,” she said. 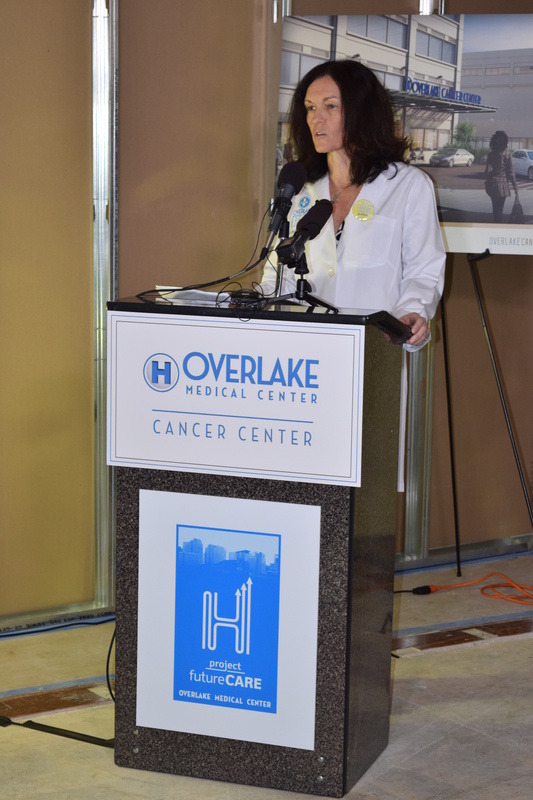 “After receiving a diagnosis, [the patient will] be asked to make a series of appointments, each possibly in a different office, or a different building, with a different doctor to evaluate a singular aspect of [their] cancer and receive a different component of [their] care. 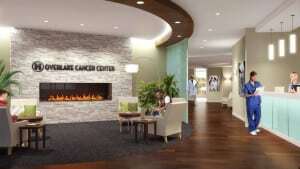 Half the funds required for the $20 million Cancer Center project are being raised from the community. 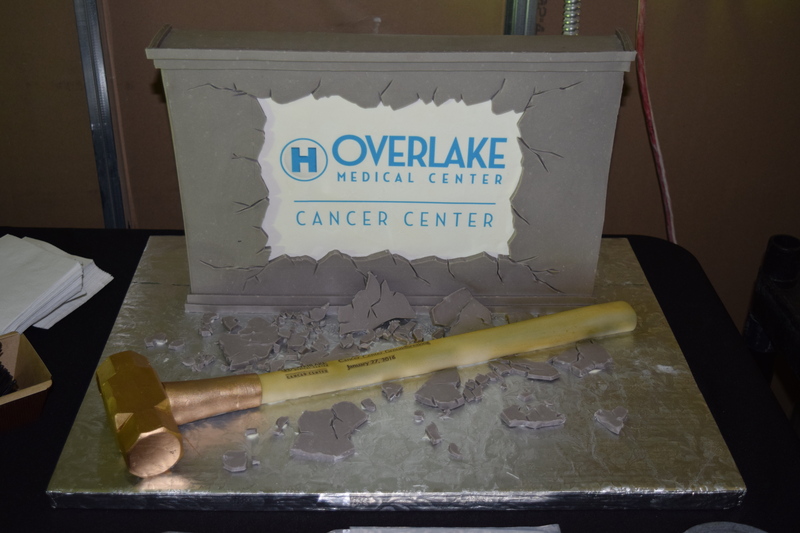 Overlake is the only non-tax supported; non-profit medical center in the region; the medical center relies completely on support from the community received through donations and from families who choose Overlake to serve their health care needs. 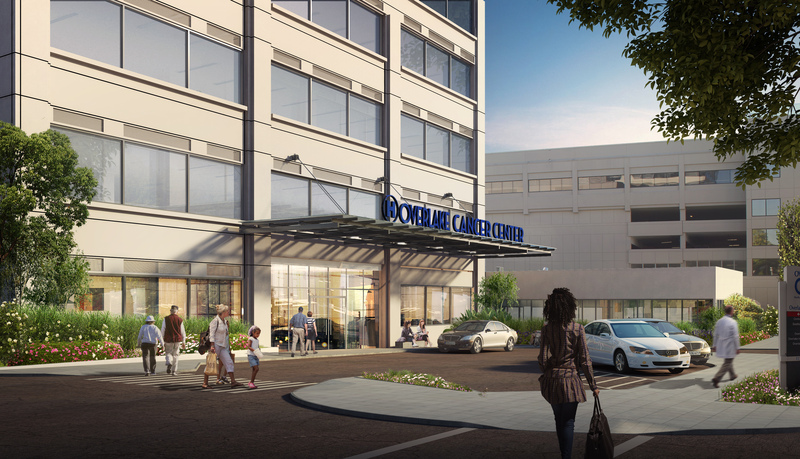 To learn more about how you can help support the Cancer Center Campaign, click here.